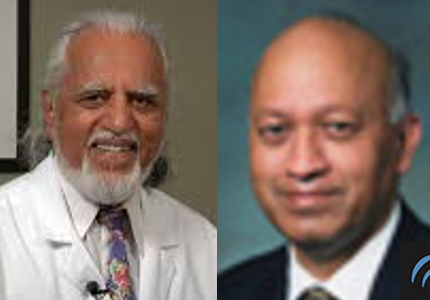 The Michigan Indian community lost two extremely wonderful cosmetic surgeons who not only played an active role in the community’s interests but also contributed their time and talent to enrich the culture. Michigan lost one of its creative thinkers Dr. Satish Vyas on February 3rd. Dr. Satish Vyas was a poet, painter, writer and a phenomenally gifted surgeon. A long time Michigan resident, Dr. Vyas performed several hands-on workshops and voluntary work in Philippines and in India. He helped several women with acid burns and dowry related injuries recover and become empowered. What a great loss to the community. He will be known for his quick wit and some amazing paintings that captured his essence of life. Visitation on 2/6/2019 at AJ Desmond & Sons Funeral Home, 2600 Crooks Road, Troy between 11:00 AM and 12 Noon. Here’s an Miindia Archive of an interview with Dr. Satish Vyas. A must read! Dr. Ravindranath Kambhampati passed away on February 2nd. Dr. Kambhampati was extremely talented and a giving soul. He enjoyed interacting with patients and always carried a smile that enchanted the people around him. An expert of Vedanta, Dr. Kambhampati had an unique style of teaching the Bhagavad Gita and interpreted scholarly texts in a comprehensive manner. A great loss to the community. Visitation on Tuesday 2/5/2019 at AJ Desmond & Sons Funeral Home, 2600 Crooks Road, Troy between 11:00 AM and 2:00 PM. The cremation will be held at White Chapel Memorial Cemetery at 621 Long Lake Road in Troy at 3:00 PM.